Size: approx. 20 mm. Photo: 06/17/15, 11 pm. 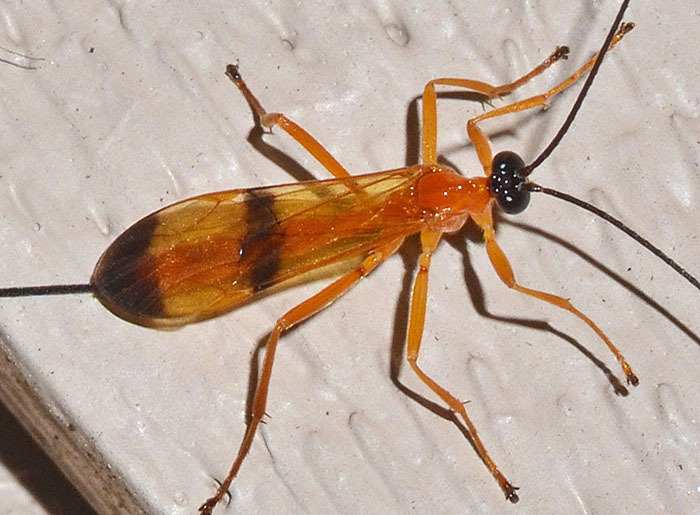 This wasp is a major foe of the arabesque orb weaver, Neoscona arabesca. The wasp stings the spider to briefly paralyze it while she lays a single egg on it. The larva is an external parasite. Acrotaphus wiltii is the only slender species with black bands on orange to yellowish wings.